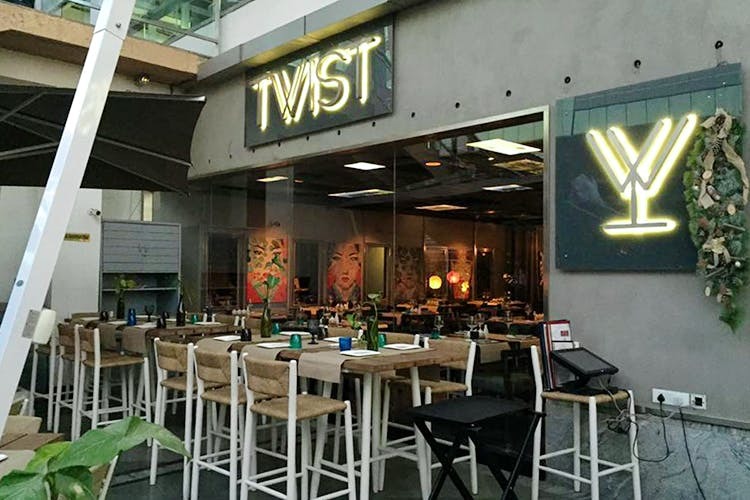 Twist is a pan-Asian restaurant in Cyber Hub trying to promote wine culture, and succeeding at it, too. This place is ideal for a date or with family. It doesn’t play loud music like most others, yet manages to keep a lively setting with some soft music in the background. The ambience is very sober and subtle. The decor is unique and the place has just enough lighting to see what you’re eating. You should definitely try the White Wine and Red Wine Slush, as well as the Shrimp with a Twist, which is somewhat like shrimp popcorn. The white wine slush is something I’ve never had before and it made my day. It’s like a different version of frozen margarita just better. There’s enough seating, and the innermost seating area is perfect for a date. The staff is very helpful and know their dishes, so you can ask them for help when deciding what to order.